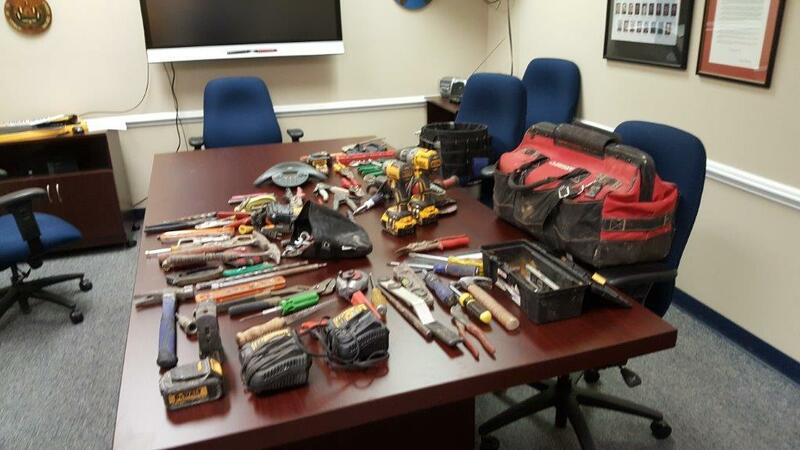 On Monday December 18, 2017, the Bedford County Sheriff’s Office took a report of the larceny of a large number of tools from the new Bedford Middle School job site. The contractor advised deputies that several tool boxes had been broken into sometimes over the weekend. The contractor also advised that the stolen tools had a value of $9,000.00 dollars. As a result of the investigation of the theft of the tools on Wednesday December 20, Bedford County Sheriff’s deputies arrested the following individuals and charged each of them with Breaking and Entering and Grand Larceny. Investigators have recovered approximately 25 % of the stolen tools. Kevin L. Thibodeau, age 20, Monroe, Va.
Cheyanne C. Tom, age 20, Bedford, Va.
Charles A. Murphy Jr., age 20, Bedford, Va.
Jacob N. Desmond, age 20, Madison Heights, Va.
Thomas S. Jerina, age 22, Madison Heights, Va.